I think it's time to tell everyone what I have known for a long time now...What the acronym NAR actually stands for. I know that they would like you to believe that it is 'National Association of Realtors', but the real truth, revealed to all recently is that NAR stands for: 'Numbers Aren't Real'! 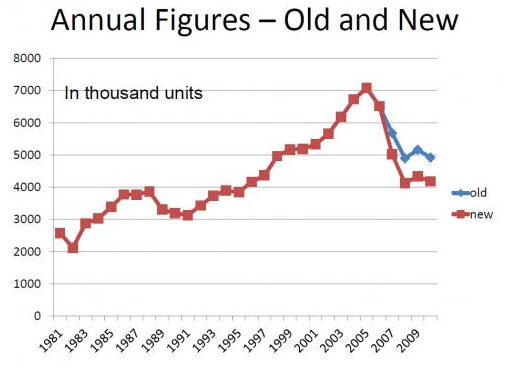 The NAR US Housing Home Sales Figures were artificially inflated by at least 11% per year for the period of 2007-2010. Nice work NAR! They said there were a few "errors' in data collection and interpretation". And I think that it goes back to BEFORE 2007...why did they only go back and revise to that year? “Sales were weaker than people thought (or were lead to believe by NAR reports),” said chagrined NAR spokesman Walter Malony. Data firm CoreLogic accused the NAR of over-counting home sales back in May of this year. At the time, the organization insisted that any issues with their numbers would be “relatively minor.” Unfortunately, NAR economist Lawrence Yun has revised that prediction to say that the changes in reporting will be “meaningful,” adding that “this means the housing market’s downturn was deeper than what was initially thought”. Being in the business every day for a long time now, I began to see a slowdown in the 1st half of 2006 and an 'acceleration' in price and volume declines right at the beginning of 2007. My analysis shows that the air started to come out of the bubble, at least in Palm Beach County, right at the end of 2005. I could go in to their methodology and poke a thousand holes in it...but I'd bore everyone but myself. The readers who regularly read my blog posts will know that I don't "toe the line" when it comes to the NAR/FAR, etc. Coincidentally, a blog post I wrote just about 5 weeks ago, http://winstontrails.blogspot.com/2011/11/if-they-keep-predicting-market.html skewers the NAR for their inept (intentionally misleading) comments. Below are the charts that reflect the adjustments. So...what does this all mean? Why now? And what is the effect of this revision? Well, I think the "why now" question can be answered by NAR being called out on their numbers by CoreLogic a few months ago. But the "what does this all mean" question has many possible answers depending upon the angle it is being viewed from. 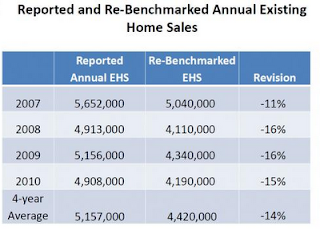 My obvious, but cynical, view is that the NAR and administration can now more easily report "improvments" in home sales. The new sales figures will be compared to the re-benchmarked historical sales and will paint a rosy housing and economic picture going forward. 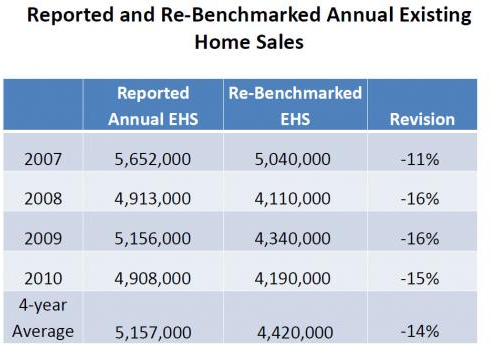 And if the reporters (TV and print) continue to just repeat data rather than dig in to the meaning of the data, the re-benchmarked (lower) figures will fade into distant memory...and the 'improving home sales numbers' will be evidence of our 'robust and recovering' economy. Lastly, what does this effect? This question is better answered by a formally trained economist, but I have to believe that these numbers somehow impact GDP in a negative sense, retroactively. If you've read this far, I commend you! Seriously though, if you are considering your options, whether it be selling or purchasing real estate, call me. You don't want to take the chance of ending up getting advice and consulting with an NAR drone who is taught to memorize "objection handling dialogs' and sales tactics. 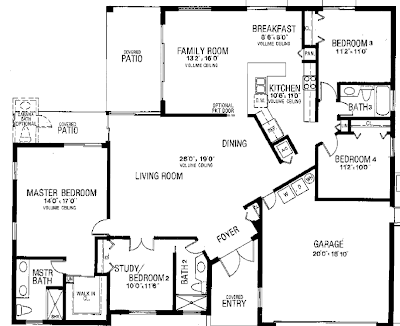 Below is a home that we have just been hired to market for the owner. Fannie Mae and Freddie Mac are suspending evictions of foreclosed properties from Dec. 19 through Jan. 2, 2012. The government-sponsored enterprises are the first institutions this holiday season to announce their annual moratoriums, which is a common practice in the housing sector to provide families a greater measure of certainty during the holidays. During this period, legal and administrative proceedings for evictions may continue, but families living in foreclosed properties will be permitted to remain in the home. The suspensions apply only to eviction lockouts related to REO properties owned by Fannie Mae and Freddie Mac and will not affect other pre- or post-foreclosure processes. “The holidays are meant for families to spend time together, especially if they’ve gone through the stress of financial challenges and foreclosure,” said Terry Edwards, executive vice president of credit portfolio management at Fannie Mae, in a statement. “No family should have to give up their home during this holiday season," he said. If they keep predicting a market bottom…eventually they’ll all be right! Just to say it at the outset of this post…why don’t any of the reporters, be it newspaper, online outlets or television, ever do any research and ask any tough questions when they continue to interview and quote the “experts” regarding housing? U.S. home prices are unlikely to fall much further in the next year even after a “discouraging” report on values in September, said Karl Case, the co-creator of the S&P/Case-Shiller Index. 10/2006: “The worst is behind us, as far as a market correction. This is likely the trough for sales. When consumers recognize that home sales are stabilizing, we’ll see the buyers who’ve been on the sidelines get back into the market.”, NAR. 12/2006: “At least the bottom appears to have already occurred. It looks like figures will be improving.”, NAR. 01/2007: “It appears we have established a bottom” David Lereah, NAR Chief Economist. 07/2008: There are signs of pent up demand . I think we are very near to the end of the housing downturn, Yun said. 12/2008: I would not have done anything different. But I was a public spokesman writing about housing having a good future. Ex-NAR Chief Economist Lareah. 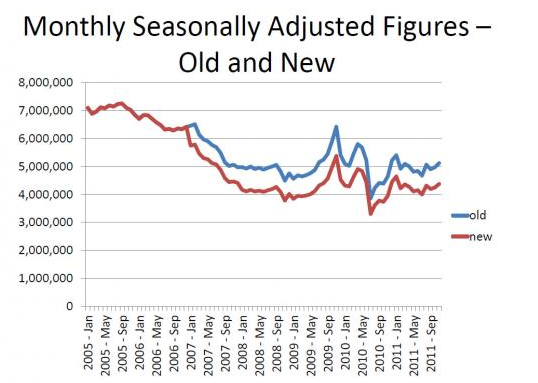 04/2009: The “worst may be over” in parts of the West, said Lawrence Yun, NAR Chief Economist. 07/2009: Follow up from 2/08 quote above: BusinessRockford.com – The local housing market showed few signs of rebounding in the first half of 2009, with sales of single-family homes and condominiums falling nearly 20 percent and median sale prices falling in all but two of the Rock River Valley’s largest municipalities... In Rockford, the median prices of the 61104 ZIP code are down 52.3 percent from the first six months of 2008, dropping from $64,950 to just $31,000. Now, more than ever, it is so important to work with an agent that will consult, diagnose and recommend solutions based upon a multitude of factors…with the MOST important one being; what is in YOUR best interest. In the past several years, I have ‘converted’ many buyers into renters, but also, some renters into buyers, because that's what we decided, together was the best option for them. I have also dissuaded many sellers from becoming ‘landlords by default’ and putting tenants in their homes while waiting for “prices to go up’ because they didn’t want to “give their house away”. On the flip side of that coin, I just had a conversation with a prospective client yesterday and we decided AGAINST selling, as the cash-flow the home would generate, along with the tax benefits of renting outweighed the prospect of home value declines…their time horizon was sufficiently long to mitigate the risk when compared to the monthly cash flow. People selling their homes in Palm Beach County lost money nearly 46 percent of the time during the third quarter of this year, according to Zillow. The percentage of Palm Beach County properties that sold for a loss between July and the end of September, was a 3.4 percent increase from the previous quarter and at an elevated rate predicted to continue through at least next year. Any homeowner who is in negative equity and who experiences a financial setback, like a job loss, income reduction or divorce, will find their options limited. To sell a home while underwater means the seller must pony up the difference between the mortgage and the current value, or negotiate a short sale with their bank. Therefore, negative equity does open homeowners up to risk they would not otherwise encounter, and it’s important to understand the total universe of homeowners who have this increased risk. If you happen to fall in to the 50% at or near being upside down and you need to sell or just want to know what your options may be, visit our blog http://www.shortsales123.com/, read some of the posts, then give me a call at 561-602-1258. 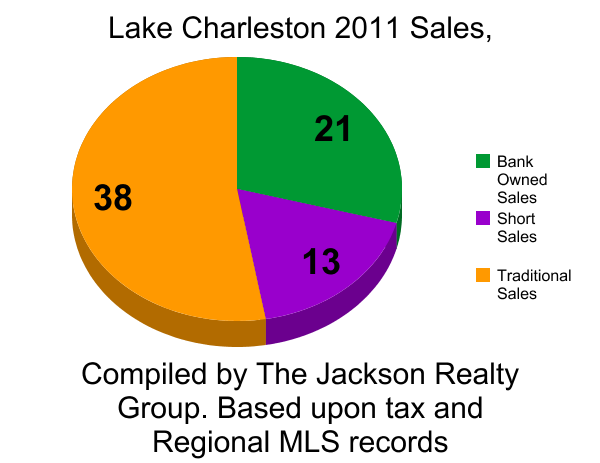 Through mid October, 2011, there have been 72 homes sold. Of the surrounding communities (Winston Trails, Journeys End, Lakeview Estates, Smith Farm), Lake Charleston has had a greater percentage of distressed property sales. Have a loan with BofA? NOW IS THE TIME TO DO A SHORT SALE! Below is a partial screen-shot of an email that I recently received from Bank of America. They are offering a MINIMUM of $5,000 paid to you, the short sale seller, at closing…and possibly as much as $20,000! BUT…we only have about 6 weeks to get started. Really, no kidding…if you have a Bank of America (Countrywide too) loan and are upside down…this is a great opportunity. My direct # is 561-602-1258…if you reach my voicemail, leave me a message…or you can also send me a text to that number. Think buying a bank-owned home is a good deal? Not so fast! ﻿﻿ ﻿I see many buyers and investors flock to foreclosures because they think that's where the best deals are...but considering the above risk as well as the fact that some of the overall best deals are NOT bank-owned properties..we suggest that our clients consider other options that meet their investment/lifestyle criteria. Please feel free to call me on my direct line at 561-602-1258 if you have any questions about the above court decision or would like to discuss your investment goals. An interview of bank risk managers by Julie Crawshaw this past week on Moneynews.com revealed the sentiment that home prices are unlikely to recover before 2020 and mortgage defaults will persist for years. The Professional Risk Managers’ International Association latest quarterly survey of bank risk professionals done for Fair Isaac Corporation shows that bankers expect delinquencies on consumer loans to rise, underwriting standards to become stricter, and the housing sector to continue struggling far into the future. “Housing has been an enormous drag on the economy for over three years as U.S. households lost trillions of dollars in equity,” said Dr. Andrew Jennings, chief analytics officer at FICO and head of FICO Labs. Among bankers surveyed, 49 percent said that recovery would not occur until 2020 and 73 percent believed mortgage defaults would remain elevated for at least five more years. Furthermore, 46 percent of respondents expected mortgage delinquencies to increase over the next six months, and only 15 percent of respondents believed mortgage delinquencies will decline during that period. Only 15 percent of respondents expect mortgage delinquencies to decline during that period. Housing prices nationwide could keep falling and might not bottom out for years, says Yale Professor and housing expert Robert Shiller. In February, Shiller said housing prices could still fall 10 percent to 25 percent in real terms before hitting bottom. He recently told Yahoo’s The Daily Ticker he's standing by the prediction, adding that the economic big picture is looking worse. "I think the economic situation looks more precarious now," says Shiller, one of the authors of the S&P Case-Shiller Home Price Index, which was down 4.1 percent year-on-year in July although up from previous months earlier this year. My comments: These type of stories always intrigue me for the sheer fact of how superficial and incomplete reporting has become. The sentiment is interesting and accurate, on the surface. However, one of the most important details; What is the risk managers definition of “recovery”, was omitted. Does “recovery” mean that prices will regain the highs of 2005? Does it mean simply that 2020 is when they think prices will stop declining and resume a historical rate of modest appreciation? And housing is inherently local in nature…while some markets may not “recover” until well after 2020…some have already neared a bottom. Here in Palm Beach County, with about 50% of all homes with mortgages already in a negative equity position (under water) and a non-existent job recovery, wed are going to have continued mortgage defaults and distressed sales (short sales and bank-owned sales)…which will, in turn, continue the cycle of increasing the percentage of properties in a negative equity position and increasing the probability of further defaults. I can guarantee, unless we have serious inflation, that 2020 will NOT bring back the good old days of 2005…and inflation may not even accomplish it without serious and stable job growth. Strategic default OK for Mortgage Bankers Association…but not for you? Again we read the guilt trip that the mortgage industry places on distressed homeowners when dealing with their distressed mortgage. But it’s OK and even advisable for the corporations to walk away from their obligations. I’ve written about this before, but when the Mortgage Banker’s Association double deals, this is just too juicy to not publicize. Just last year, you pointed out that defaults hurt neighborhoods by lowering property values, so borrowers would do less harm to our society were they just to repay what they owe. You know… like the responsible homeowners. This past week, the Co-Star Group, Inc., indicated that it had agreed to buy the MBA’s 10-story headquarters building in DC for $41.3 million. The only problem is that $41.3 million comes up a skosh shy of the $75 million first mortgage on the building that the MBA took out from PNC Financial Group way back in 2007, when they purchased the property for $79 million. The very same MBA also defaulted on their payments and secured a forbearance agreement, prior to the short sale. Nicely done, Johnny-O. What kind of message are YOU now sending to Your family, Your children, and Your friends by walking away from Your lawful $75 million debt? Are they being morally harmed by your decision to stick the bank with close to $25 million? 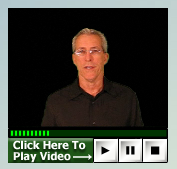 And why aren’t You simply paying Your mortgage as agreed, Mr. Courson? Again, advice to the distressed homeowner: Answer the emotional question first – do you want to keep your house? or walk away with the least damage and purchase another home in two years? Then consider the financial questions. Do you have steady, although significantly reduced employment that you can count on for the foreseeable future? Do you believe your property recover any lost value in 5 to nine years? If you don’t believe your property can recover value in 5 to nine years, give the keys back to the bank…It even now has a name, compliments of firms like the Mortgage Banker’s Association. It’s called a ‘strategic default’. Do not even consider for one minute any ethical responsibility to anyone but yourself. Your bank cares not one whit for your well-being. 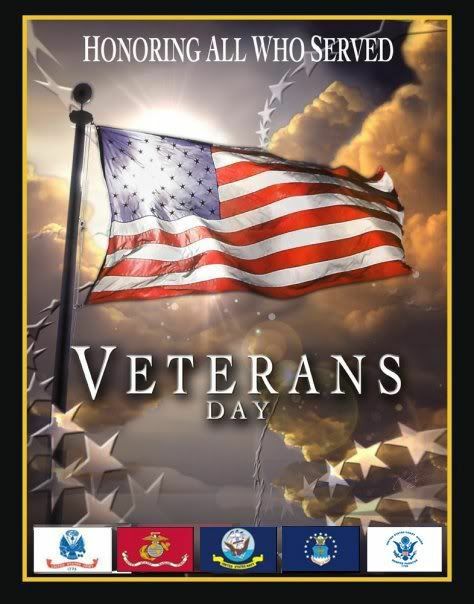 You owe them, or anyone else, not one red cent. Finally a lender gets a brain! Locally based Ocwen recently revealed a plan that incorporates many of the components of a loan mod/refinance that I suggested over a year ago: Reduce the loan amount to today's value, write off the ‘underwater portion’ over a number of years if the owners stays current on all mortgage obligation aspects, and if/when the home is sold, Ocwen will recoup some of the regained equity…Brilliant! The other big added benefit to the lender is that they get to draw up new loan documents without all of the defects that are being challenged in court right now…and I wouldn’t be surprised if they slip in some new restrictive language to the now docs too! For all of you with an underwater Ocwen loan…CALL THEM TODAY to see if you can qualify, then call me and let me know the details of the process/qualification/final terms so I can spread the news. Below are excerpts from the article that was in the Palm Beach post. The company is rolling out a new loan modification plan for underwater borrowers that lowers the amount owed on the loan - thus reducing the monthly payment - but asks for a share in the appreciated value when the house is either sold or refinanced. The kickback to the lender may deter people who can afford to make their payments from defaulting, while giving an incentive to either the lender or investor to modify the loan. "We think this answers some of the critics who say that by reducing principal, you are rewarding imprudent borrowing behavior," said Ocwen Executive Vice President Paul Koches. "What we see is unprecedented delinquencies, and we're doing our best to resolve them." Offered in 33 states, including Florida, the plan is available only on loans where it will earn more for either the lender or investor than if the home went into foreclosure. Called a shared appreciation modification, it's fairly simple on its face. A home's principal amount is reduced to 95 percent of the current market value. That portion is forgiven in equal amounts over a three-year period as long as the owner stays current on the loan. When the house is later either sold or refinanced, the homeowner must give the lender 25 percent of the appreciated value of the home. For example, say the principal balance on a loan is $125,000, but the current value of the home is only $100,000. Ocwen's plan would reduce the balance to $95,000, putting $30,000 in a non-interest-bearing account that will be forgiven over a three-year period. If the house is later sold for $120,000 - marking an appreciation of $20,000 - the homeowner would get to keep $15,000, while $5,000 would go to the lender. 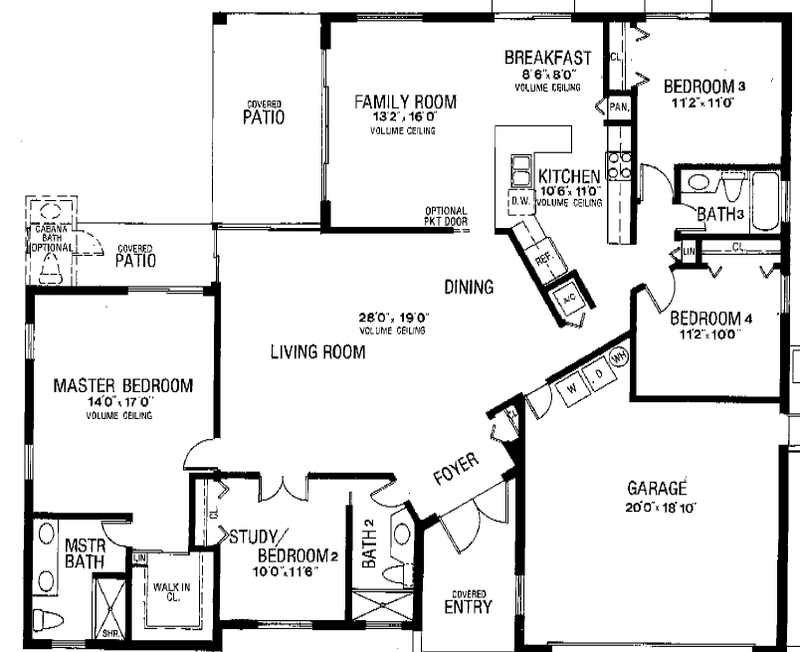 If the home doesn't appreciate, then the sale occurs as it normally would. Ocwen, which has about 245 employees in its West Palm Beach office, estimates about 53,000 home­owners nationwide will be eligible for the principal reduction program. The company specializes in servicing the nation's riskiest home loans and has a portfolio of about 460,000 loans. Ocwen's recent acquisition of Litton Loan Servicing will add 250,000 loans to its portfolio. A test of the new loan modification program that was launched last year found that of borrowers offered the plan, 79 percent accepted it. The default rate has been about 2.6 percent. "You have folks breaking their necks to make payments on a home where there is no hope in their lifetime of it regaining equity," Koches said. "A homeowner in a negative equity situation is one-and-a-half to two times more likely to go into delinquency." In Palm Beach County, nearly 43 percent of homes with mortgages were underwater during the first quarter of 2011, according to real estate analysis firm CoreLogic. Most home loan modifications result in an interest rate reduction, which can do little in the long run for homeowners who owe more on their loan than their home is worth, said Kathleen Day, spokeswoman for the Center for Responsible Lending. "We've felt for a long time that unless you do principal write-downs, you really aren't getting at the problem," Day said. "It's in everyone's best interest to keep a credit worthy person in their home." Roughly 10.4 million mortgages, or one in five homes with a mortgage will likely default if Congress refuses to implement new policy changes to prevent and sell more foreclosures, according to analyst Laurie Goodman from Amherst Securities Group. At the end of the second quarter, more than 2.7 million long-delinquent loans, others in foreclosure and REO properties sat in the shadow inventory, more than double what it was in the first quarter of 2010. With the market averaging roughly 90,000 loan liquidations per month, it would take 32 months, nearly three years, to move through the overhang…and that number is contingent on NO other loans going into default. "Many analysts looking at the housing problem mistakenly assume it is limited to loans that are currently non-performing (or 60-plus days past due). Such borrowers have a high probability of eventually losing their homes. However, the problem also includes loans with a compromised pay history; these are re-defaulting at a rapid rate," Goodman told a Senate subcommittee Tuesday. Stan Humphries, chief economist for Zillow, said the rental market is currently booming and would be able to handle a mass conversion of foreclosures into rentals. "Investors smell a distinct opportunity in this situation: The chance to buy an asset cheaply and rent it out. In fact, close to one-third of the purchases of existing homes this year have gone to all-cash buyers, the bulk of whom are real estate investors," Humphries said. This sounds to me like the housing equivalent of ‘cash-for-clunkers’ which resulted in the removal from the market of tens of thousands of good, affordable used cars, as the requirement was to “junk’ the clunker trade-in (the dealers were not allowed to re-sell them)…The same thing will happen with homes; currently, a lot of buyers can’t purchase a great many of the foreclosed homes as they require too much work and/or don’t qualify for an FHA loan. Typically, the buyers in the under $250k market, (where a great percentage of the foreclosed homes sell), are FHA buyers because they DON’T have a lot of cash…so they are not able to ‘buy and rehab’. BUT, that is where cash buyers come in…they buy, rehab to move in condition, and re-sell…quite often to FHA or other low-down-payment buyers and they make a little money doing it…as they should. But if you take away these homes by requiring that they be converted to rentals, how does that help? Well, it helps the big companies, REITS, and investment groups that will get a piece of that sweet deal! Just read my recent posts regarding the scary legislation working its way through Tallahhssee now…going to make it sooo easy, cheap and fast for the banks to get these homes back…We need everyone to PAY ATTENTION…and thanks for reading! More Palm Beach County homes received first-time foreclosure notices in August than the previous month, and experts warned Wednesday that the 13 percent increase is just a trickle before the flood. Statewide, new foreclosure filings were up 10 percent last month from July, according to findings to be released today by the Irvine, Calif.-based company RealtyTrac. Nationally, initial notices of foreclosure were up 33 percent. But unlike previous reports that found increases and decreases in foreclosure activity were similar nationwide, there was a marked difference in August between judicial states, where a judge is required to sign off on a home repossession, and non-judicial states. In the 25 states RealtyTrac considers non-judicial, initial foreclosures leapt 46 percent in August from July, although they were still down 10 percent from August 2010. In judicial states, including Florida, there was only a 21 percent increase in August from July, with a 25 percent drop from last year. "I've been told by a number of banks' lawyers that they have cases ready to go and are just waiting for approval to file," said Mike Wasylik, a foreclosure defense attorney with the firm Ricardo, Wasylik & Kaniuk, which has an office in Boca Raton. "I've been expecting the dam to break for months now and I think there is still uncertainty about what is going to happen with regulatory actions and pending settlements." Foreclosures were suspended last fall following questions about the validity of court documents used to take back homes. Activity remained on a simmer through early spring and has jumped around since then as lenders continue to patch up their foreclosure processes. The nation's largest home lender and servicer, Bank of America, confirmed Wednesday it had ramped up foreclosures in non-judicial states, including Nevada, which saw a 31 percent increase in new filings in August from July. California, also a non-judicial state, saw a 55 percent increase. "Strong gains like that from July to August demonstrate our progress, clearing more volume to advance to foreclosure once we pass the numerous, improved quality controls we have in place and only after all other options with homeowners have been exhausted," said Jumana Bauwens, a Bank of America spokeswoman. "The industry has not yet returned to normal or necessary foreclosure activity levels, but progress is certainly being made." Still, lenders face more uncertainty. Earlier this month, the Federal Housing Finance Agency sued 17 financial firms for selling Fannie Mae and Freddie Mac billions of dollars' worth of risky mortgage-backed securities that turned sour when the market collapsed. Also, settlement negotiations continue between banks and the nation's attorneys general. The attorneys general joined last year in an effort to investigate the robo-signing scandal, penalize lenders for their paperwork missteps and help struggling borrowers. "The banks don't know what their exposure is from past problems or that they have resolved the problems to the satisfaction of the attorneys general," said Guy Cecala, chief executive officer and publisher of Inside Mortgage Finance. But foreclosures have not come to a complete standstill. Last month, 715 Palm Beach County homes were sold at auction - the final step in a foreclosure - according to Palm Beach County Clerk of Courts data released Wednesday. Just 31 percent of scheduled auctions were canceled, a decrease from a high of 51 percent in January when banks hurried to delay sales in the wake of the robo-signing scandal. The Palm Beach County clerk's office tallied 1,126 initial foreclosure filings last month. That's slightly higher than RealtyTrac's 926, but could be a function of when the numbers were gathered. "We were anticipating another wave of foreclosure filings this year, based on expert forecasts, but so far an influx of new cases has yet to materialize," said Clerk Sharon Bock. RealtyTrac has lowered its nationwide prediction of total foreclosure filings - initial notices, sale notices and auctions - for 2011 from 3 million to 2.5 million. "As painful an issue as foreclosure is, it has to get back on track, otherwise we'll slip further and further behind," Cecala said. "The year 2011 will go down as the year that nothing got done." If you have been reading my blog, you have read about the scary pro-bank bill under review now in Florida…my guess is that the banks are holding back going forward here in full force in the hopes that this bill gets passed in the dark of night. Then, the banks can EASILY FORECLOSE AND TAKE POSSESSION OF HOMES. The bill even has a provision that if you defend your foreclosure but the bank eventually does get to foreclose…YOU AND YOUR ATTY HAVE TO PAY THE BANKS LEGAL FEES! Our sales manager, John Durante, is an accomplished drummer/musician. Just days after the 9-11 tragedy, John and his band wrote this tribute to the victims. Below is the video of John and his band performing that song. 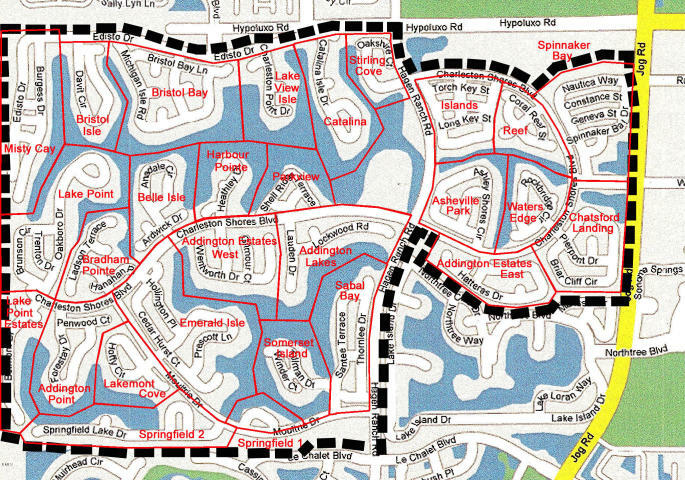 Your 2011 proposed property tax bill…think it’s wrong? At the end of last week you should have received your 'proposed' 2011 Tax bill in the mail. 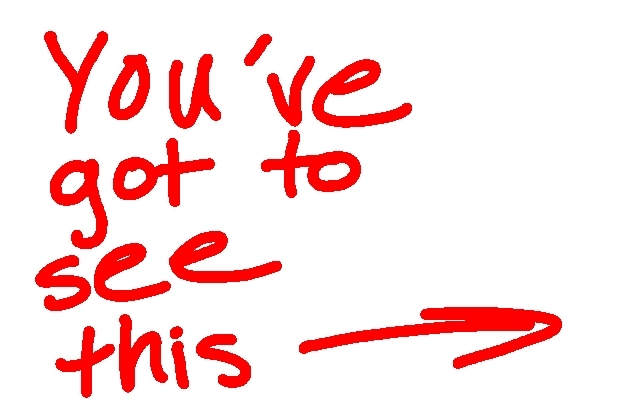 If you haven't taken the time to open it up and dig into it...now is a good time to do that. I have put together a short video regarding the tax bill/appeal. 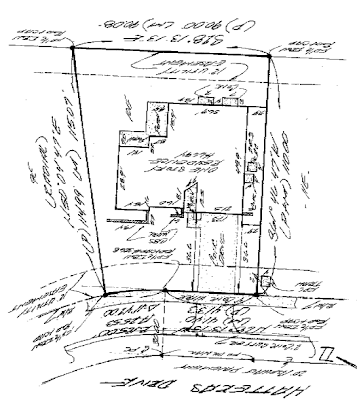 September 16, 2011, is the deadline to file a petition with the Value Adjustment Board to challenge a property’s market value, classification, or an exemption. If you would like some help in determining if your assessed value is accurate, send John or I an email or give us a call: John can be reached at 561-685-1867 and I can be reached at 561-602-1258. Also, below, I have placed several links that are helpful in navigating the tax appeal process. Click on the image above to go to the VAB site for all forms and instructions. And if you haven't received your proposed tax bill, misplaced it already or just threw it away, click on the image above and pull up your tax bill from the property appraiser site directly. Please forward this blog post to every Floridian that you know or share it on your Facebook page…if this gets passed, it will be devastating for tens of thousands of homeowners. It will, in essence, take away the right to challenge the banks foreclosure (fraudulent documents and all) AND includes a huge disincentive to foreclosure defense attorneys from even taking your case. If the mortgage industry has its way, the passage of a new bill floating around Tallahassee will ensure that Floridians will be displaced from their homes without legal representation or due process. In typical Orwellian style, this bill is entitled the Fair Foreclosure Act – it’s anything but . 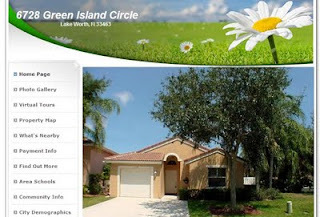 . .
Florida often makes the national news when it comes to foreclosures, and it’s never positive. According to a recent 24/7 Wall Street study, three of the ten housing markets most likely to collapse in 2012 are in Florida. Naples, Miami and Ft. Lauderdale all make the top 10, and the rest of the Sunshine State isn’t far behind. 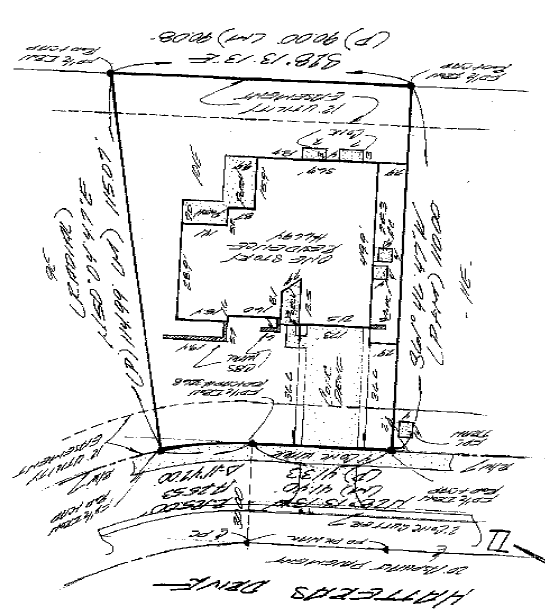 In its preamble, the FFA actually says, “Once suit has been filed, the public interest is served by moving foreclosure cases to final resolution expeditiously in order to get real property back into the stream of commerce.” Of course, it is this glut of foreclosed homes flooding the real estate market that has all but ensured its collapse. REO properties typically sell far below market value, and when so many REOs exist, it drives the overall market to new lows. The vicious cycle is complete as more homeowners suffer increased losses from a down market. So the bill’s stated purpose is flawed right from the outset, but getting our homes back into the “stream of commerce” really isn’t the purpose of the Fair Foreclosure Act. Its sole design is to take Floridians’ property without due process or equal protection under the law. Florida has a proud history of whoring for the mortgage industry, and while states across the country are fighting to restore honor and integrity to our judicial system, Florida has taken a different approach. In Florida, the Supreme Court and our elected state officials are doing what they can to ensure their benefactors . . . the banks . . . get what they want. Remember Foreclosure Court? It unconstitutionally employed retired senior judges to act as mortgage mercenaries – ramrodding defective foreclosures through the judicial system despite national ridicule. I am actually shocked it fell victim to Governor Scott’s massive spending cuts. That must have been a mistake. Then, with the addition of Pam Bondi as our new Attorney General, the mortgage industry took firm control of our prosecutors as well. Ms. Bondi all but killed any investigation into foreclosure fraud, and fired two assistant prosecutors who gained national attention for piecing together a massive conspiracy by the mortgage industry to defraud our state court judges in foreclosure cases. Where the amount of principal and interest equals or exceeds 120% of the just value of the home, it will allow the mortgage company to foreclose without going through the judicial process. That means no foreclosure complaint, no defense, no due process, no justice. It will be as easy to take your home as it is to repo a car. It will repeal Florida Statutes § 57.105, which awards attorney fees to homeowners who successfully defeat mortgage companies in court. At the same time, it assesses attorney fees against a homeowner and his lawyer (in equal parts) if the mortgage company prevails. The design here is to stop consumer lawyers from taking any more foreclosure cases by making it impossible to make money and even personally expose the lawyer to penalties. Consumer lawyers will have no upside potential and all downside risk. It will eliminate the right of a homeowner to set aside a wrongful foreclosure, even if the plaintiff committed fraud in the process of taking the home. The ONLY recourse would be awarding money damages. This language is to appease the title companies by retroactively ratifying all that foreclosure fraud that has taken place over the last decade. Once the bank takes your home, you’ll never get it back, no matter what. The typical knee-jerk response is always that these homeowners are people who “got in over their head.” But such banking propaganda ignores the fact that 1 in 2 houses in Florida have no equity. So, according to bankers, half of Floridians are irresponsible homebuyers. Wall Street and greedy bankers created this horrible mess, but they want no part of shared sacrifice in cleaning it up. Middle class America didn’t cause this problem, and Middle class America shouldn’t pay for it. We Floridians suffer from foreclosure fatigue, and the FFA will send us all over the edge. Click on the Fannie Mae image and you will be able to see all of the Fannie Mae foreclosures in Palm Beach County. 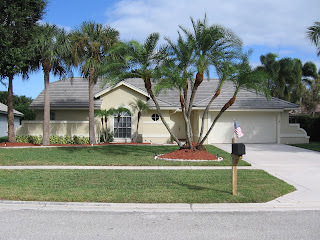 If you are interested in seeing any of the homes on their list…call us at 561-432-5202 quickly as there typically are limited time periods for viewing/offers. I thought these were cool...just click on the image above...hope you enjoy them! Credit Ratings Downgrade for Fannie and Freddie Now? In what is shaping up to be an erratic trading day, the Dow has dropped below 3% in early trading after the latest news that Standard & Poor's downgraded the debt of mortgage finance giants Fannie Mae and Freddie Mac. It was widely expected that S&P's downgrade of U.S. debt would roll downhill to other entities that are closely linked to the federal government. Fannie and Freddie, which were taken over by the government in 2008, fuel home sales by purchasing mortgages from banks. It's not clear what - if any - effect the downgrade will have on Fannie and Freddie's borrowing costs. And since Treasury yields remain at very low levels, a sharp spike in mortgage rates seems unlikely. I’ll let you know what effect this is having on mortgage rates as soon as I know! The nation’s leading mortgage lenders are extending extras for short sale transactions employed as an alternative to foreclosure – both in the form of monetary incentives for borrowers and streamlined procedures for real estate agents. Wells Fargo says it has been making “enhanced financial relocation assistance offers” that can be as much as $10,000 or $20,000 to certain borrowers who meet undisclosed criteria who choose to go through with a short sale or transfer the title back to Wells via a deed-in-lieu. This extra incentive is being offered to distressed borrowers in Florida and other states where the foreclosure process is lengthening, a spokesperson for Wells Fargo explained. The exact amount of the relocation funds provided to individual borrowers varies based on a number of factors, the company says. Wells Fargo noted that this type of additional relocation assistance is only available on first-lien loans that the company itself owns – which represent only about 20 percent of the loans Wells Fargo services. Chase is also offering a range of incentives to borrowers that agree to a pre-foreclosure sale “because if we can’t work out a modification, a short sale is a better result for the borrower, the servicer, the investor, and the neighborhood than a foreclosure,” the company said in a statement. Chase says the amount of the offer “depends on a number of factors” but declined to share specific details on how much money it’s been providing to short sellers. Citi has confirmed that it is offering incentives up to $12,000 for borrowers in cases where Citi owns the loan. BofA says it is “committed to improving the short sale process” and has made procedural changes to cut some of the red tape for agents working with the bank on pre-foreclosure sales. They now allow real estate agents to submit a backup offer on a transaction if the original buyer has walked away from the sale. This means that agents no longer have to initiate a brand new short sale if the buyer changes, Bank of America explained. Instead, agents can move ahead with the original transaction and continue to work with the same short sale specialist without having to resubmit all of the same documents and start from scratch. A recent report by LPS (Lender Processing Services) stated that there were 4,084,557 mortgages 90 or more days delinquent or in foreclosure as of the end of May. Contrast that with actual foreclosure sales at 78,676 at month end, the volume of seriously past due loans over-shadowed the number of completed foreclosures by 50 to 1, according to LPS’ May Mortgage Monitor report released last Wednesday. That is very scary...for every home actually sold at a foreclsoure sale there were FIFTY in line behind it where the owners were 90 or more days behind in their mortgage payments! Right now I don't have the actual figures of the percentage of people who fall 90 or more days behind and eventually catch up on their back payments, interest, penalties, attorney fees, etc....but I have to believe it is fairly low. Then throw in the possibility that a big percentage of those delinquent homeowners are in a 'negative equity' position and any reasonable person has to assume that the chances of those delinquent owners getting current or even having the desire to get current is miniscule. Additionally, LPS’ analysis found that inventories of foreclosures in judicial states ( In Florida we are a judicial stae) have increased twice as much as inventories in non-judicial states over the last year as courts have become clogged with high volumes of cases and lenders have slowed their processing of foreclosures, particularly in judicial areas muddled by affidavit issues. Nationwide, the average time spent in foreclosure continues to extend, with more than 33 percent of borrowers in foreclosure not having made a payment in over two years, according to LPS latest study. LPS says overall delinquencies are almost double and foreclosures are eight times higher than historical norms. So..what's my point in writing this post? Basically the same as many of my other posts, mainly "don't rely on what you hear on TV or read in the papers"...those stories present only a sound bite...there is no analysis, follow up or discussion. Many times there is an agenda or spin being promoted. It is easy to hear a 'housing is rebounding' story on a Monday and a 'housing is getting worse' story on Tuesday. Draw your own conclusions from the above... but that information from LPS tells me that there are many, many foreclosures and short sales that will be continuing to hit the market in the next 3-4 years...continuing to contribute to declining home values. 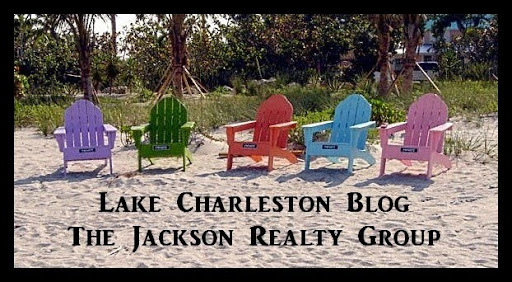 If you are thinking about selling...call me and lets decide if it makes sense to do it sooner rather than later. If you are thinking about buying, lets sit down and explore your options and see if it makes sense for you to buy now. I am well aware of the toil, and blood, and treasure, that it will cost us to maintain this declaration, and support and defend these states. Yet, through all the gloom, I can see the rays of light and glory; I can see that the end is more than worth all the means, and that posterity will triumph. Read our blog…be the first to know! Give me a call today if you are interested in this pre-approved short sale...it is not on the market yet, but will be soon. Today, the stock market surged on DECLINING home sales...the 'market' expected the Natl Assn of Realtors report to come in at 4.8M, instead it came in at 4.81M and everyone is ecstatic! Last months sales were originally reported at 5.05M...but revised downward to 5.0M- (a common tactic...and watch, the 4.81 will get 'revised down' at some point). I have to tell you...most of the time I am embarrassed to be a paying member of NAR. Spiking gasoline prices? Isn't that pathetic? You mean to tell me that Mr. and Mrs. potential homebuyer, just about to sign on the dotted line, decided that they couldn't afford a house because gas rose by forty cents? Let's figure this out; suppose that the average mileage is 18 MPG, the average miles driven per year is 15,000...that would be 834 gallons a year...at 40 cents a gallon hike that is an extra $374 per year, or an $31 per month, or an extra $7.75 per week! If $31 a month is turning buyers into non-buyers...they should not have been thinking about buying in the first place! When are we going to get some truth out of the NAR PR machine? No wonder agents are regarded on par with the stereotypical used-car salesman...it is well deserved! To a child…LOVE is spelled TIME. Click on the photo above…it will take you to see a touching and insightful 2 minute video about what is most important to your kids. Blessings to all of the Fathers out there. Questions about bankruptcy come up at a majority of my appointments with sellers who are upside down on their homes and trying to explore their options. 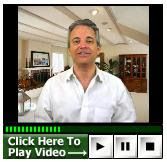 I always defer to the experts on the subject: bankruptcy attorneys. 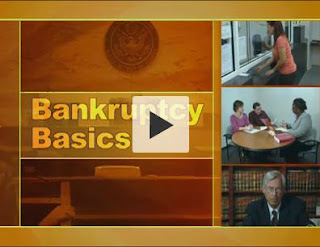 But, I recently came across this series of helpful videos that will give homeowners a basic understanding of the various bankruptcy options. Just click on the video, below. You can then watch the entire series of nine short videos. NEW YORK (CNNMoney) -- In an off-hand remark before cameras and microphones, economist and housing market guru Robert Shiller opined earlier this year that he would not be shocked if there was another 10% to 25% in the nation's home price plunge -- and he's not backing down from that statement. At a S&P Housing Summit in New York, Shiller on Thursday reiterated his fears of falling home prices. It's not a forecast, he said, just a comment on his understanding of housing market trends. He explained that speculative markets, like stocks or commodities, act like random walks. They go up and down all the time. Housing market direction tends to be more consistent. 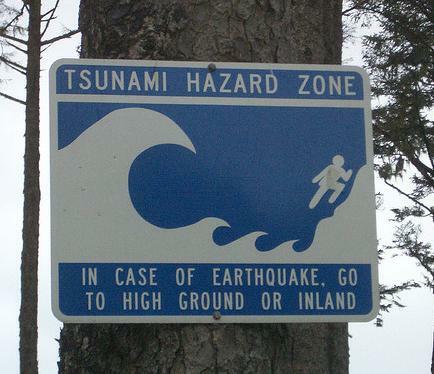 "I worry that this is a real and continuing downturn, like in Japan," Shiller said. "It had a boom in the 1980s that peaked in 1991. Prices declined in the major cities for 15 straight years after that." The U.S. housing market is hard to predict because the boom and bust it went through was unique. Shiller has studied historical price data back to the 1890s and found nothing like it. "This is the biggest housing boom and bust in U.S. history," he said. "The bubble was unique. "That makes it impossible for statisticians to forecast because they deal with things that repeat themselves. You see a pattern and expect it to repeat." It's even different from the Great Depression, when the home price plunge was at about the same rate. The big difference, however, was that prices of nearly everything else cratered in the 1930s as well -- which has not been true during the housing bust. The house price collapse is now worse than it was during the Great Depression. That astonishing piece of information comes from the researchers at the think tank ‘Capital Economics’. It follows Tuesday's news from Case-Shiller that house prices fell again in March, as the double dip gets worse. Writes Capital Economics' senior economist Paul Dales, "On the Case-Shiller measure, prices are now 33% below the 2006 peak and are back at a level last seen in the third quarter of 2002. This means that prices have now fallen by more than the 31% decline endured during the Great Depression." (This is on a National basis...here in South Florida our price declines are even steeper....over 50% from the top reached in late 2005. We are now back to prices not seen since 1999-2000. (italics mine)). Capital Economics says the latest double-dip in housing should come as no surprise. It's very much following a pattern seen in the early 30s, when a brief recovery also petered out. (the brief recovery was a govt. induced false recovery via the homebuyer tax credit). The same has also happened in other big housing busts around the world, the think-tank says. It believes prices are going to fall even further before we hit rock bottom, maybe sometime next year. (Last year, the 'experts were saying 2nd or 3rd quarter of 2011 would be the bottom...next year, they'll move their 'predictions' again. These 'experts' should ask someone actually IN the real estate business their opinion. I have been calling a 'saw tooth bottom' possibly by 2015; and that's only if all other housing factors (interest rates, loan qualification standards, mortgage interest deduction, etc. stay the same! Is there a silver lining? There is if you have a long enough time-line. If you can get the financing, housing is now cheap. At many price points, renting is more expensive than owning). 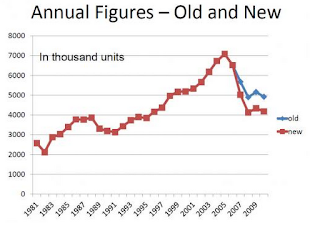 Capital Economics calculated that housing is now the cheapest it's been in thirty-five years. (With mortgages rates still at all time lows, and inflation creeping in, housing here can be a good deal. But you'll have to be patient to see the biggest rewards. Capital Economics says, back in the Depression, it took 19 years for house prices to recover to their previous peaks....and it will likely take longer this time around. Now, I'm no Harvard trained economist, but my understanding is that during inflationary periods, having fixed rate debt is a benefit...you're paying back your debt with cheaper dollars. And this is the theory behind what Fed is going to do to pay off OUR debt! So, what does this mean for you? If you're a seller considering selling soon or within the next few years...sell now...be the NEXT home to sell. If you're a buyer...make sure that you have a very good reason for buying (and there are still many good reasons) and a long enough time horizon to ride out the value fluctuations ahead). If you'd like to further discuss the implications of the current market economics for your specific situation, just call me on my direct line, 561-602-1258. The memory shall be ours." Zillow says...Sorry, we wanna change that prediction please! - U.S. home values posted their largest quarter-over-quarter decline since Q42008, falling 3 percent. 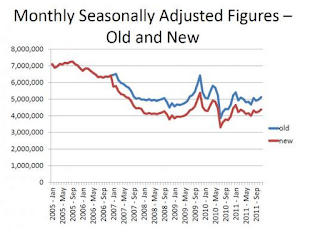 Home values have fallen 29.5 percent from their peak in June 2006. - Negative equity reached a new high with 28.4 percent of all single-family homes with mortgages underwater, up from 27 percent in Q4 2010, due to accelerating home value declines. Actually, in Florida, 48+% of all homes with a mortgage are underwater...and to top that off, about 1 in 5 are 90 or more days delinquent of their mortgages. 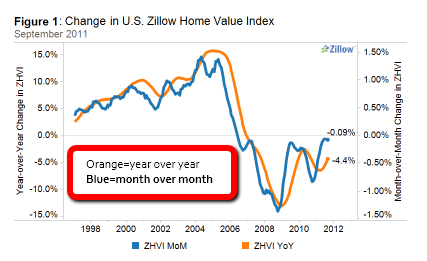 - New data reveals bottom in home values unlikely to appear in 2011. Zillow has revised its forecast and now predicts a bottom in 2012 at the earliest. How much impact does a short sale have on FICO® Scores? How about a foreclosure? Since I frequently hear these questions from clients and others, I thought I’d share new FICO® research that sheds light on this very subject. The FICO® study simulated various types of mortgage delinquencies on three representative credit bureau profiles of consumers scoring 680, 720 and 780, respectively. I say “representative profiles” because we focused on consumers whose credit characteristics (e.g., utilization, delinquency history, age of file) were typical of the three score points considered. All consumers had an active currently-paid-as-agreed mortgage on file. Results are shown below. The first chart shows the impact on the score for each stage of delinquency, and the second shows how long it takes the score to fully “recover” after the fact. •The magnitude of FICO® Score impact is highly dependent on the starting score. 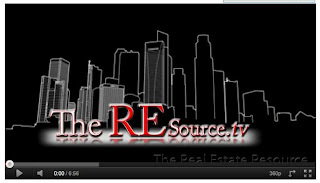 •There's no significant difference in score impact between short sale/deed-in-lieu/settlement and foreclosure. •While a score may begin to improve sooner, it could take up to 7-10 years to fully recover, assuming all other obligations are paid as agreed. •In general, the higher starting score, the longer it takes for the score to fully recover. •Even if there’s minimal difference in score impact between moderate and severe delinquencies, there may be significant difference in time required for the score to fully recover. This study provides good benchmarks of score impact from mortgage delinquencies. However, it is important to note that research was done only on select consumer credit profiles. Given the wide range of credit profiles that exist, results may vary beyond what's in the charts above. If you were to look solely at the score comparisons of a short sale and foreclosure in the chart above, you might say that there is no advantage to a short sale over a foreclosure...however, I believe the above article and accompanying charts assumed that for the short sale, (as well as the foreclosure), the mortgage payments had been more than 90 days delinquent. But, that does not have to be the case. We have had great success in assisting clients with short sales who have never missed a mortgage payment or have missed just 1 or 2...thus, one could surmise that this type of short sale would have much less of a delterious affect on ones credit score. A short sale undertaken early enough allows the borrower to mitigate a lot of damage e.g. not having to miss mortgage payments. Short sales can and are closed without missed payments... in a majority of cases the borrower's default need only be 'imminent'. 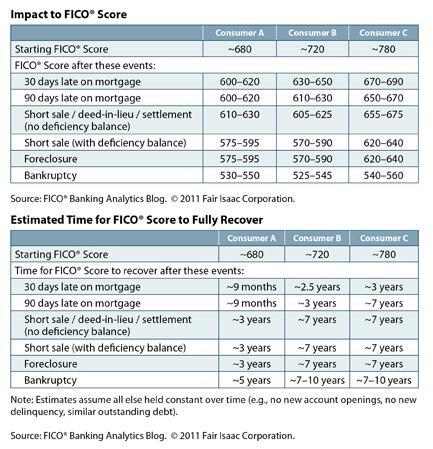 I believe it is the 'days late' on the mortgage history that is the prime factor in the degradation of the FICO® score. This article/chart does not reflect what is the impact of the typical language added by a short sale (i.e. 'settled in full for less than the full amount') WHERE THE BORROWER CLOSES THE SHORT SALE WITHOUT MISSING A PAYMENT? 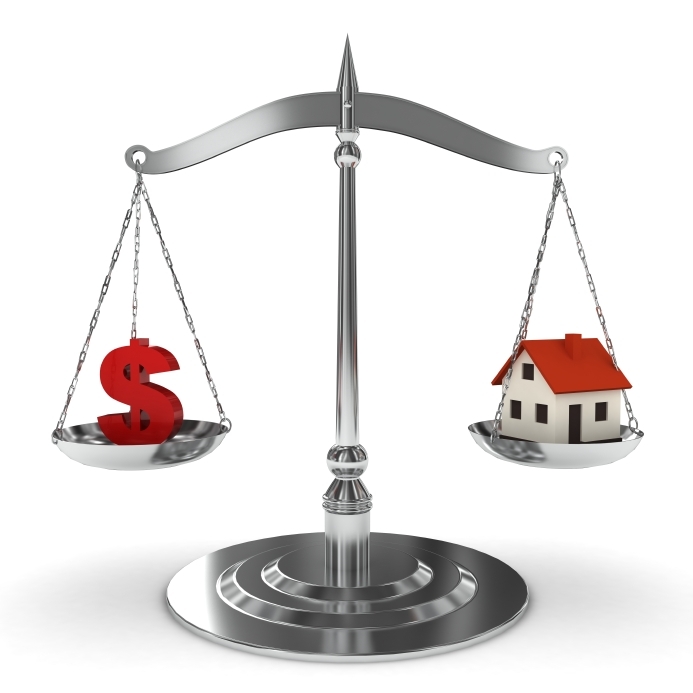 A foreclosure by comparison (and by definitiion) will always have many missed payments. Also, FICO® score is not the only consideration when comparing foreclosures and short sales. You can qualify for home loan financing within 2-3 years after a short sale. It can be up to7 years after a foreclosure. In addition, the current standard residential loan application asks whether you have EVER had a foreclosure. It does not (yet) ask about short sales. So if you had a foreclosure, 15 years from now, you would have to say "yes" to that question, or risk a claim for loan fraud. Then there are job considerations when affects of a short sale are compared to the affects of a foreclosure that this article does not mention. If you have to pass a security clearance for your job, a foreclosure may prevent the issuance of the clearance. In this case a short sale is a better choice. If you are in default on your mortgage or at risk for imminent default I recommend contacting a competent attorney who truly specializes in defending and protecting howeowners in default. Give me a call on my direct line at 561-602-1258 if you'd like to discuss your situation and options.